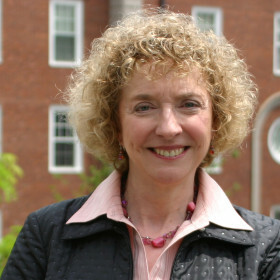 Lynda M. Applegate is the Baker Foundation Professor at HBS. She was recruited to join the HBS faculty in the mid-1980s and helped build the school’s Technology and Innovation Special Interest Group. In the mid-1990s, she helped launch the Entrepreneurial Management Unit at HBS and headed the unit for many years. 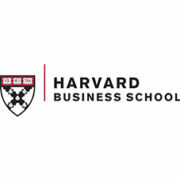 Lynda continues to play a leading role in developing HBS Executive Education Programs for entrepreneurs and business owners. She has also held a variety of leadership positions at HBS, including serving as the Co-Chair of the MBA program, Chair of Field Based Learning and as a founding member of the HBS Technology Board. She has also held a number of Harvard University leadership positions, including serving as the Co-Chair of the Harvard Policy Group on Networked Government Services and on the Harvard University Provost’s Technology Advisory Board. Prior to joining the HBS faculty, Lynda was on the faculty of the University of Michigan, University of Washington and University of Arizona. In addition to her academic positions, Lynda also held a variety of leadership positions in the health care industry. Lynda’s research and publications focus on the challenges of building new ventures and leading radical business innovation in the face of significant industry, technological, capital market, and regulatory turbulence. A second stream of research examines emerging governance models to support inter-firm collaborative innovation. She is currently embarking on a study of the evolution of entrepreneurial ecosystems in emerging markets and technology clusters and is also conducting a global study of high impact women entrepreneurs. Lynda recently served as Series Editor for Harvard Business Publishing’s Core Readings in Entrepreneurship. She is the author of over 40 articles, books, and book chapters, and over 350 published case studies, online learning DVDs, and course materials. Lynda is the recipient of numerous HBS awards for her research, teaching, and service to the school. Most recently, she was awarded the Robert F. Greenhill award for her outstanding contributions to HBS over the course of her career. She has also received Harvard Business School’s Berol Award for Research Excellence and its Apgar Award for Innovation in Teaching. She has won numerous “Best Paper” awards for her academic research on 21st century business models and executive team decision-making and collaboration when developing and launching strategic innovations, and she has served as a Senior Editor and on the editorial boards for leading research journals in the field of technology innovation. Lynda is an active international consultant and has served on the board of directors of public, private, non-profit and venture-backed companies. She is an advisor and advisory board member for entrepreneurs launching new ventures and for senior executives leading innovation in established companies. She is currently on the board of two non-profit organizations Endeavor Detroit and the Massachusetts Technology Leadership Council and two privately-held firms. She has also served as a member of the Industry Advisory Board for NASDAQ, as a policy advisor on a Blue-Ribbon Panel to define a National Research Agenda on the development of the Network Economy, and as a member of a roundtable panel for President Clinton’s Commission on Critical Infrastructure Protection.